My time in Ubud made me feel like a Disney princess but I wasn’t trapped in a castle or living beneath a wicked step-mother, I was my fiancé at the place that they say is between Heaven and Earth. Awang-Awang. 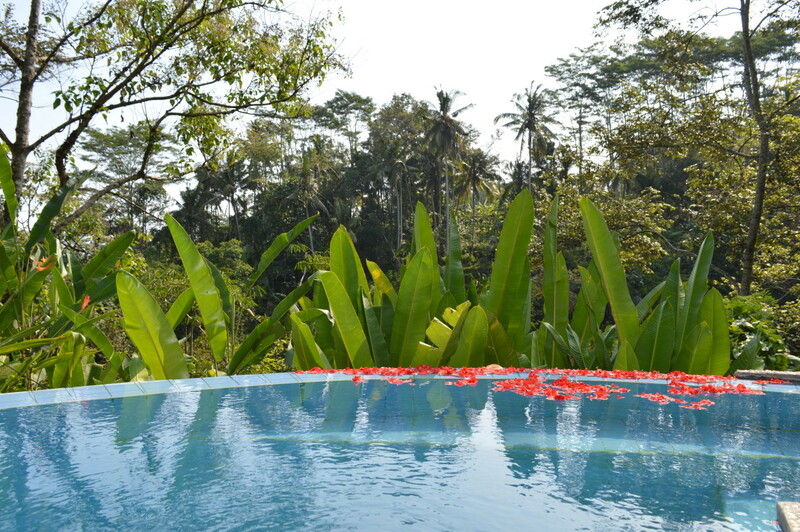 We stayed in Villa Perparean at Awang-Awang and it was like our own secret hideaway, right in the middle of the jungle. We could hear the running water from the stream below and the sounds of animals near and far. But despite the noise, it felt calm and I loved to just sit by the pool, stare out at the sea of green trees in front of me and do nothing. Which was strange because I’m someone who always needs to do something. This new state of relaxation was completely new to me but I liked it. I really liked it and it was just what I needed after the long flight to Bali. 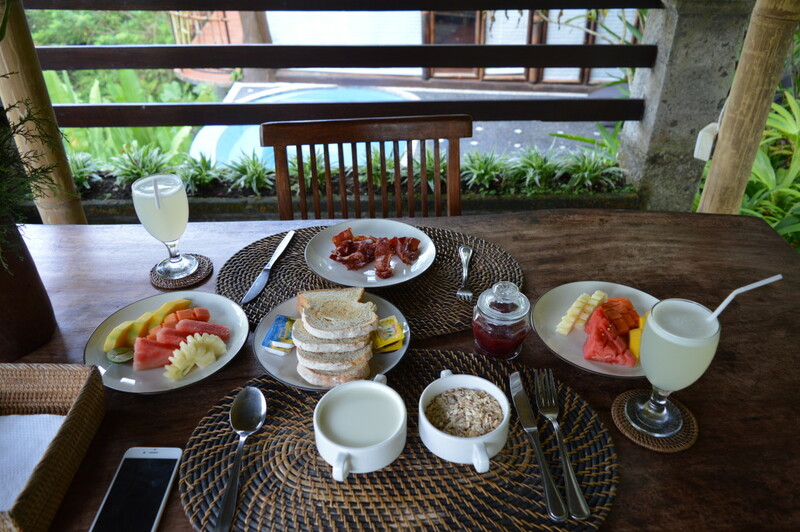 We had breakfast in the jungle, spa treatments in the jungle and slept in the jungle. I longed to lay beneath the stars at night with, but fearing that we would cross paths with a monkey meant that we slept inside with our doors firmly shut. During the night, the jungle really came alive but funnily enough I didn’t have a problem with sleeping. The sound of wild animals saying “Hello” to their friends is much more soothing than the car horns of London. 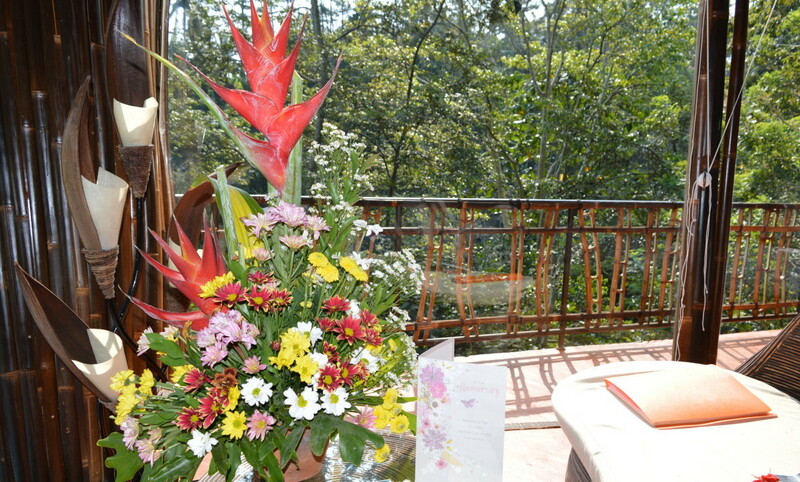 Being in the middle of the jungle, you’d think that we had no running water or electricity but this eco-friendly Villa, is fully equipped with everything you would ever need, including Wi-Fi. For a city guy and girl, I think we adapted quite well to life in the jungle… although one evening we did have an intruder in the form of a frog and I don’t know who screamed the loudest! Awang Awang offer in house spa treatments, which we took full advantage of and we had some of our treatments in the main house. 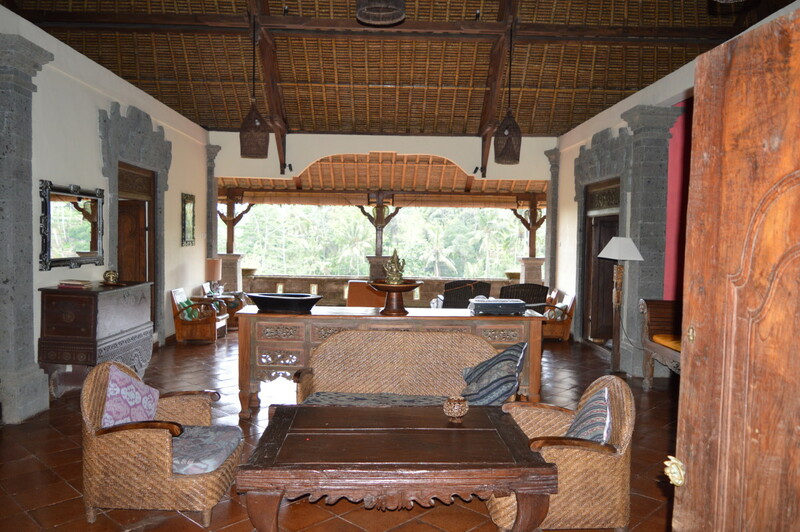 Villa Perparean is perfect for couples whereas this one can host large groups of friends and families. Traditional Balinese massages became a part of our daily routine, they are the perfect remedy for when you have had too much to drink the night before. The Balinese have such kind hearts, which first became apparent to us when we met the staff at Awang-Awang. They made our time in Ubud feel so special. Whether it was breakfast, a massage or a candle lit dinner that we wanted, they always greeted us with a smile and a ‘yes’. I hope that one day we return to this little hub of happiness. Awang-Awang you will always have a special place in my heart. Until next time.